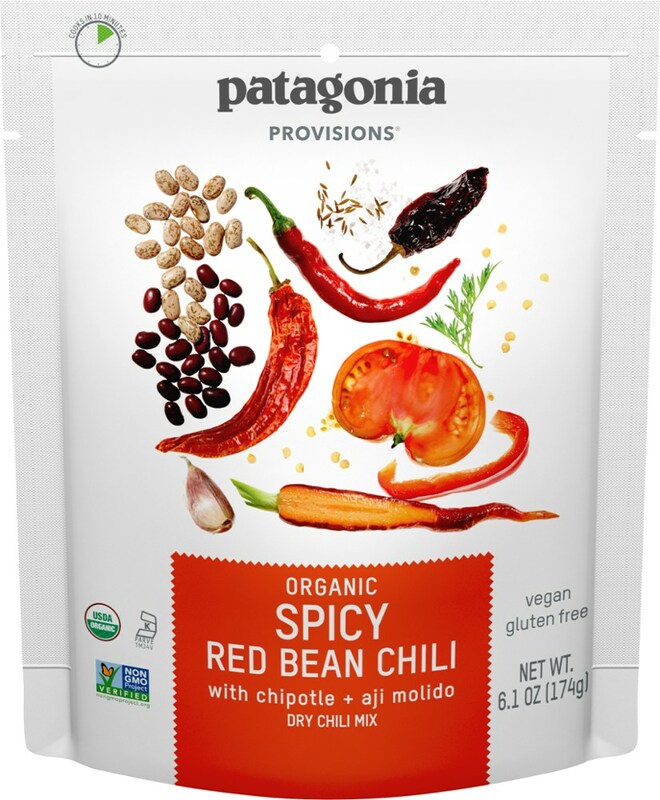 A fully organic chili with high protein and a flavor profile dominated by red chili, this meal will fill you up and provide good energy, but may not tantalize your taste buds (unless you really dig a strong red chili flavor). 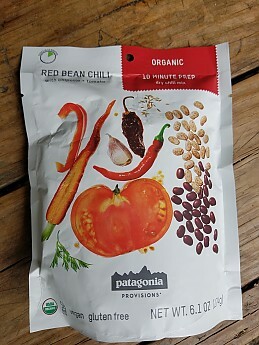 When I first saw their advertisement for Patagonia Provisions it caught my eye. 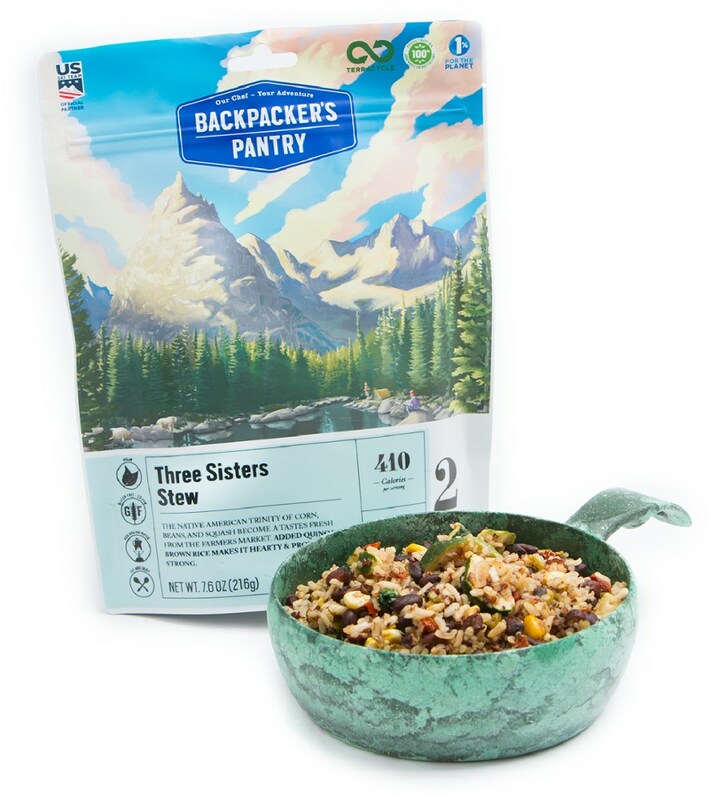 I’m a fan of their apparel products and their top-shelf customer service, so I was curious what kind of food product an (mostly) outdoor apparel company would produce. So when Trailspace offered the chance to review some of them I was happy to accept. 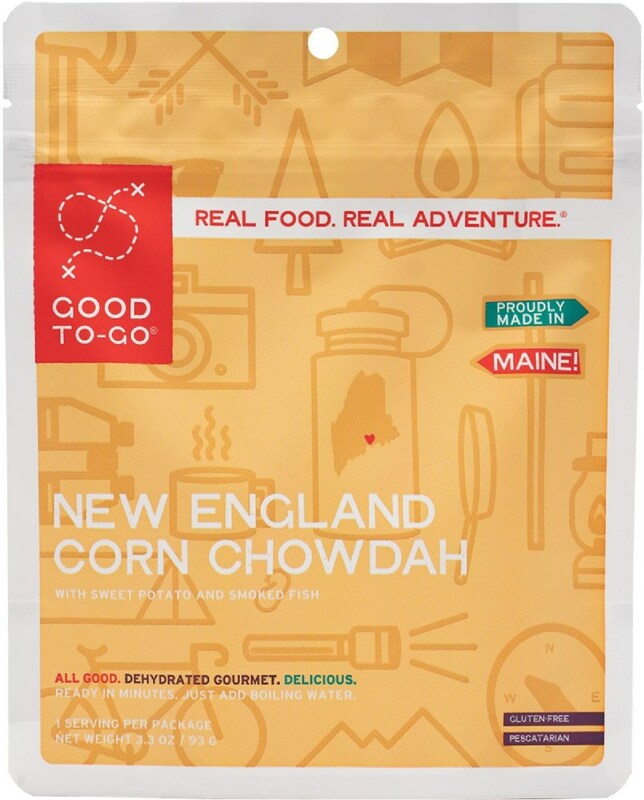 One potential con for some is that this is not a cook-in-bag product. I don’t like to eat out of bags so it wasn’t a problem for me. This soft packaging packs well in a large food load. The directions call for adding the contents to boiling water, boiling for at least one minute, then covering and waiting for nine minutes before consumption. I had to simmer this one several minutes longer than that both times I ate it to get the red beans soft enough. As I mentioned in the top summary, I found that the red chilies dominated this meal. If you really like red chilies then take notice! Of course, flavor is highly subjective, but I like to taste the other ingredients; they were lightly discernible but they took a back seat in this meal. I should probably note that my wife is a chili master and has placed high in a competition with her vegetarian chili before. So maybe I’m a bit of a chili snob. To me, this chili is begging to have things added to it. Cheese helped balance the chilies and a light sprinkle of corn chips took it up a notch. 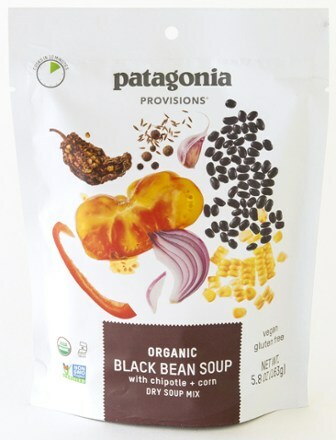 Patagonia recommends adding a dollop of sour cream, cotija cheese crumbles, and chopped onions. This area was a strong point with this chili. One package was a very filling meal for me and I did not want anything more to eat. The texture was fine for the most part but as I mentioned earlier, I had to simmer it for several minutes longer than indicated to get the crunch out of those red beans. But once they were hydrated, all was well on the texture front. 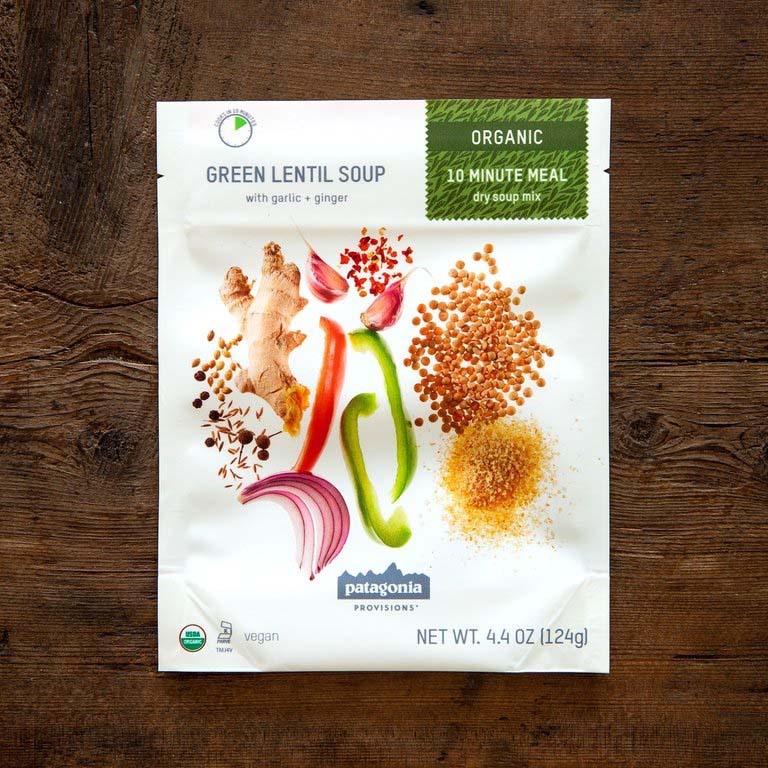 If organic food matters to you, this is a product you can feel good about with 100% organic ingredients. 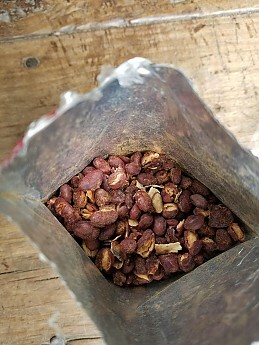 The value is pretty decent at $7 per 6.1-ounce package and if you like a strong chili flavor, this one should be on your list to investigate. It wasn't a stand-out dish to me and that's why I didn't give it a higher rating, but this is a quality product, subjectivity of taste notwithstanding. I'm an avid backpacker with over 8,000 miles of trekking in the last decade. 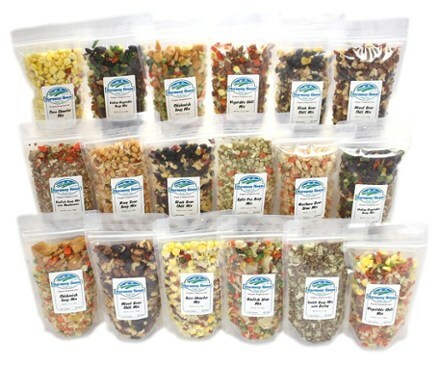 I've tried many, many brands of dehydrated food over the years. 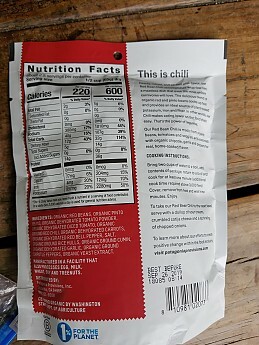 I was sent two packages of this chili to review so I've eaten it twice. Nice review, Patman. The sodium sounds pretty high though. How hot was the red chili flavor? Well I would put the heat at about a 6 on a 10 point scale, so not too hot but the flavor is very strong. Great review Patrick! 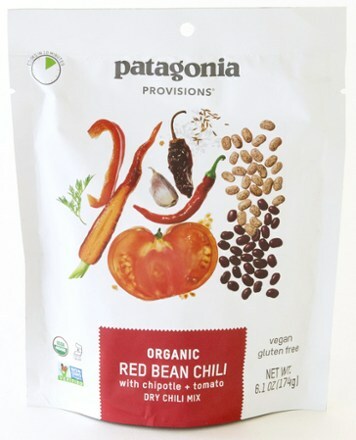 I find chili an interesting one for Patagonia to start with. To me I really in do bag meals in two situations- last min trips or the meal is too complicated to make/dehydrate on my own. 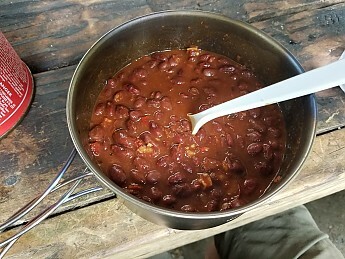 Chili is about the easiest to make yourself at home and it rehydrates great/tastes the exact same, I’d never buy a bagged version. Glad to see it was tasty though!